TV crews from BBC1’s Homes Under The Hammer, and Channel 4, witnessed a packed saleroom for Auction House London at the end of October (25 October 2018) which raised just under £20m. A semi-detached house in Harrogate was the subject of some lively bidding at auction this month, pushing the final sale price well above the original guide of £150,000. The three bedroom house on Oakdale Avenue was the first lot to come under the hammer at the October property auction by FSS estate agents and auctioneers and the bidding was broadcast live on social media. The hammer finally came down at £173,000. A property auction can be a thrilling way to buy property, and snap up a bargain. They aren’t just good for buying repossessed homes, it’s now possible to buy all kinds of properties at auction. However it is essential that you do your homework before trying to buy a property at auction, and you need to put a number of important things in place before you go. It does't matter what your reason for buying at auction is, the key to success is preparation. An old favourite heads up the commercial lots in SDL Auctions Graham Penny’s Derby auction at Pride Park Stadium on Thursday 1 November which will see 56 lots go under the hammer. 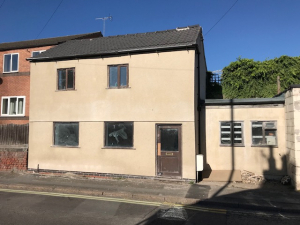 From an area that is always very popular with commercial investors, 63-67 Wardwick in Derby is a valuable freehold property in the city centre. It comprises two ground floor retail units and one rear office or stage unit. 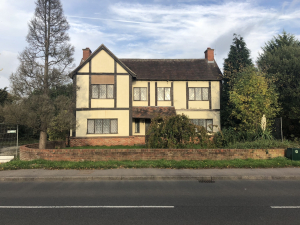 There are plenty of properties for DIY fans looking for projects in the SDL Auctions Graham Penny auction on Thursday 1 November at Pride Park Stadium in Derby. 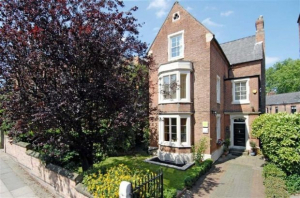 Property auctioneers, Smith and Sons, raised over £2.5million its latest auction, selling in excess of 80% of the lots offered. A busy room at the Village Hotel in Bromborough, together with multiple phone bids, generated good interest which resulted in another successful sale. The majority of potential buyers were investors and developers either looking to buy their first investment or strengthen their portfolios. Leading property auctioneer Auction House is reporting the highest number of monthly entries in the eleven year history of the company. The group has entered 810 properties into its October catalogues – the first time that it has ever exceeded the 800 lot milestone in any given month. The impressive performance is matched by the group’s sales in September, when Auction House sold 425 lots from 618 offered (up 7% from 397 sold in 2017) – delivering a success rate of 68.8%, and raising £51.3m in the process.